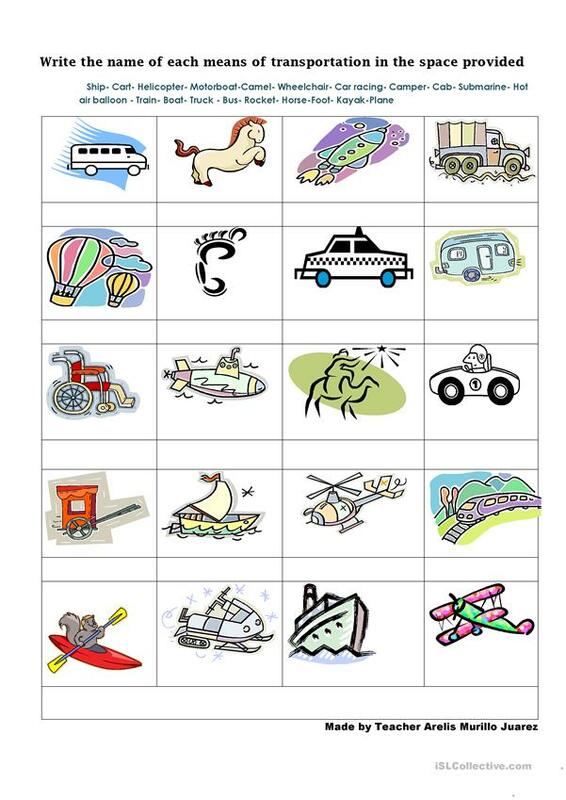 This is a worksheet about some means of transportation vocabulary for elementary students. Students see the piectures of means of transportation and match them with words provided above of the worksheet. The above downloadable handout is best suited for elementary school students at Beginner (pre-A1) and Elementary (A1) level. It is a valuable material for improving your groups' Reading skills. It focuses on the topic and words of Means of transport.